Thank you so much for coming along on this Poem It Out adventure. In today's video, I read Mary Oliver's poem "The Summer Day." If you'd like to connect with kindred spirits and talk about how practices like Poeming It Out support us as we walk through our beautiful, messy lives, consider joining my free online group over at Hand to Heart. And I'd love to know about your experiences with Poem It Out and read your poems. Please feel free to get in touch. I love that you have introduced us to so many great poets and poems but I am wondering what to do once I am on my own and no longer have your gentle guidance and reassurance. Do you have any suggestions for how to discover poets and poems that you like and/or how to continue with a practice of poetry and generating new ideas? I love this question and have shared a few ideas in the following video. As we wind down our time together, I want to encourage you to continue reading and writing poetry. Because I know I've given you a lot to explore, today, I want to share three poems + give you a writing prompt. A Weekend Prompt (because I just want to give you one more prompt): Write a poem to or about your shadow self. Possible places to begin: You could write a letter to your shadow. You might want to name your shadow (that could be the title of your poem). Consider describing your shadow or a day in the life of your shadow. 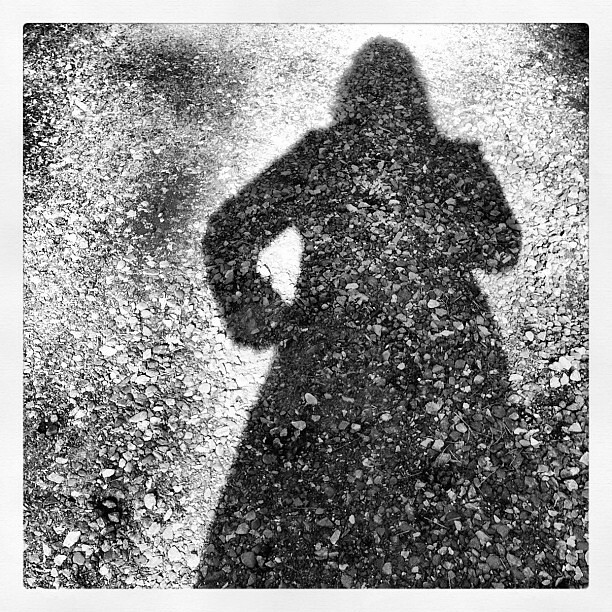 You could pair a poem note with a shadow photo if you've taken one this week. I am so excited to share this next interview with you. My friend Martha McCartney is a warrior with the pen. Her sense of humor and laughter are just two things that draw you to her when you meet her. And then, if you are lucky, she will read you one of her poems. 1) How has poetry saved you? After my Mother’s death I discovered a cassette tape of her reading favorite poetry in her southern- accented voice – The Raggedy Man by James Whitcomb Riley was included. In 7th grade my high school English teacher handed me a copy of Trout Fishing in America by Richard Brautigan (under the table and in silent rebellious partnership) - here is poem that I will write …. Qhen I was four my Mother read Through the Looking Glass (Lewis Carroll) to me. In high school I read eecummings and abandoned rhyming. Richard Brautigan stole my words in college and I only wrote like him. My father recited poetry to me from the day I was born. My high school newspaper printed my poetry (usually about racial inequality). I represented my college at an event in our state capitol and read poetry and short fiction. My first submission was accepted for publication in a journal at a particularly low point. I finally left circumstances that stifled me for 18 years, the town that had silenced me for 50 years, in order to pursue my dream of writing. My Mother read poetry and sang to me every night since infancy. My first love was a poet and a writer and has inspired and supported my growth. Every English teacher I ever had held me up as star and encouraged me. They were really good ones, one was a future poet laureate of our state. I read The Idylls of the King and In Memoriam by Tennyson (yes, entirely) when I was in the seventh grade. I recorded my father reading poetry when he was 92, the year before his death. On my 17th birthday my boyfriend gave me The Pill versus the Springhill Mill Disaster by Richard Brautigan inscribed with the most beautiful words in French (so my mother could not read them) and I have loved him forever (my boyfriend and Richard Brautigan). I write words every day. I memorized the The Lady of Shallot by Tennyson. for fun. A couple of weeks after my father died, my dear friend's mother, from her bed as she neared death herself, recited Little Orphan Annie by James Whitcomb Riley – this was a favorite of hers and of my parents. It was a blessing. I wrote my first poem in second grade, with pencil, before I had learned cursive, and it had meter and rhyme. If I could only read one poem for the rest of my life it would be William Wordsworth’s, Intimations of Immortality. I feast upon poetry – it is my blood – my heart – my soul –my prayer- my salvation – my refuge. 2) Who are the poets and poems you turn to again and again? Rainer Maria Rilke is perhaps my most often read and returned to, he speaks to me in such a profound way. There are two poems by him that have remodeled my life….The Archaic Torso of Apollo and Going Blind… I feel his words go right into my heart. In addition to him, almost all the Victorian poets, Wordsworth, Rossetti, Matthew Arnold, and then I have to skip forward to Yeats and Dylan Thomas. I read it all. I am so not a tattoo person that I cannot even imagine. And it would be too hard to decide. I am sure I have words already etched into my heart. 4) Will you share some words about your haiku practice? I have developed a practice that, when I think back on it, has been evolving for years. In just the past couple years I began taking a small notebook with me on my daily walks and would find a place to sit and gather words or short phrases. I would start by writing the date on the top right corner of the page and then would write things that entered into my senses from that date and time. Words like yellow violets, spring green grass, robins calling, and sycamore bark would end up in my notebook and later I would use those words in poetry. You can read more on my blog www.lilliesavage.com. If you want to explore more about the philosophy of haiku I would recommend the book Seeds from the Birch Tree by Clark Strand. I am hopeful that after about twenty more years of practice I will write a couple good ones but for now I find it a helpful exercise that brings me back to the place where I am, helps me start my day, bless my day and all that is around me, honors my surroundings and centers me to begin other writing. 5) Would you like to share a poem of your own? 6) Any other words you would like to share? In closing, I would just add that poetry is a lifetime of doing, being open, listening to what is outside and what is inside and putting it down into the best words we know and it is wonderful to know that there are other people on this planet who love it and value its gift. A little about Martha: I am a woman on a mission. I am living in the Pacific Northwest after leaving everyone and everything I had known in an attempt to change the course of my life and so I am the true example of poetry being a life line. Most recently I have had the privilege of having classes with David Wagoner, Tess Gallagher, Storme Webber, Nancy Rawles, Kim Stafford, Bill Mawhinney, Christine Hemp and Susan Woolridge and my quest for writing continues with intense learning and daily practice. Kim Stafford said that there are lots of good ideas but we have to be intensely awake and aware and poised to receive them or they will just go on to some one else. I am here, poised with my hand above the page. ready . open. receiving. Visit her blog Lillie Savage. Today's prompt is also a poetry creative adventure because I'm asking you to go out into the world and listen and take notes about what you hear, and then take those notes and write a poem. I hope you have a lot of fun with this one! Here are two poems to inspire your poeming today. The first is by David Lehman and is from his book The Evening Sun: A Journal in Poetry, which is a collection of his daily poems from 1999-2000. The poem is "November 4" and you can read it here. I love how this poem is about a sound he overheard someone make and the observations he made as a result. (This poem kind of makes me giggle and nod my head.) Find out more about David Lehman at Poetry Foundation (he is the editor of The Best American Poetry series and a poet you should add to your poetry bookshelf). That was before Uncle Henry came back from the war. Yes. Remember, we took the trip across the Tacoma Narrows Bridge. All of us…six of us in Dad's Buick. A few years ago? Ocean's Eleven? We saw that one. Noooo. I want Mommy to sit here. But I want to sit next to you. A pause. Quiet envelopes the room. Everyone taking a bite, a sip, a breath. A couple reads the paper at the circular table in the midst of everything. He in his gray windbreaker; she in her bright yellow slicker. He turns the page with a snap, and it begins again. Have you been across the new bridge? Why do they remake the good ones? Can you believe they are getting along this morning? Sitting in the corner with my chocolate croissant and vanilla soy latte, I soak it in. The little four year old in me, with the big brown eyes, pulling it all toward me. When the rain stops, we grab my coffee, his tea and walk outside as the steam lifts the sea and the crocuses and the daffodils and the pavement toward me. I suddenly hear myself, It smells like Spring in South Carolina. I breathe deeply knowing it has happened again. Both of these examples show how the poet brings himself/herself into the poem. The observations are interesting in both, but when I read a poem, I want to know why the poet is interested in telling me about these things she sees and hears. When I was sitting in this intimate cafe with my husband in Gearhart, Oregon, I was so struck by the conversations around us that I started writing notes on the Sunday paper he was reading. Looking back on this moment years later, I think one of the reasons I was so attune to the senses of the moment that happened when we walked outside (when I suddenly missed my grandmother so much I couldn't breathe but yet felt so grateful to Spring for bringing her back to me each year) was because I had been taking those notes with an awareness of everything around me and within me. Go out into the world and listen. And then write a poem. Before I jump into today's lesson and poetry prompt, I want to invite you to take a few deep breaths and just be right here for a few moments. Right now. I'll wait. This poeming it out stuff can be intense. We have spent our time sifting through some big stuff. In a way, we are sifting through the flotsam that all that came before this moment leaves behind. Maybe you have unearthed some stories you had almost forgotten. Maybe you have finally begun to tell a story that has been literally festering inside you. Maybe you're still not putting pen to paper because you just want to take it all in...and you are feeling some trepidation. Wherever you are is where you are supposed to be right now. And please remember to practice self-care as you need to. Get outside. Go for a walk. Rest. Let go of poeming for one day. Or write more if that is what you need. Listen to yourself. Now, let's poem it out today! Today's prompt is to give a voice to something that doesn't usually speak or to let something else speak for you. In this case, I'm talking about a thing that might be alive or might not be (a bird or a shoe and so on). I want to challenge you to let go of a person speaking in your poem and instead to let something else do the talking. You could look at this prompt as getting the perspective of the things around you in your corner of the world. What does your desk say? If your driveway could tell stories of all that it has seen, what would it say? How about your front porch? Or the front porch of your grandparents' home? What does the stoplight say? The maple tree? The humpback whale you saw in Maui or in a dream? If you are stuck, consider looking at one of your word lists and finding a few words to inspire you. "When the Roses Speak, I Pay Attention" (which you can read here) and "When I am Among the Trees" (which you can read here). Both of her poems are from Thirst: Poems. And then I dare to read one of my own poems right there with hers. My poem is called "The seed says" and you can find it in Five Days in April. These poems illustrate a couple of jumping off points for you with this prompt. You could begin with "The _____ says" as your first line or title. Or you could weave in the voice throughout your poem. Above all, have fun! This poem could be silly or grandeous (what does the redwood say?). It could be about an actual experience where you encountered a moose and stared it down and you thought it said something. It could be an imagined experience. It could be quiet and just a few lines. This week, here's your creative adventure photography assignment that I explain in the video below. Like last week's photo prompt, my intention behind it is to give you an opportunity to ground and "see yourself" in a more visual way that then becomes a companion to your writing. The prompt is to seek out your own reflection and shadow this week.